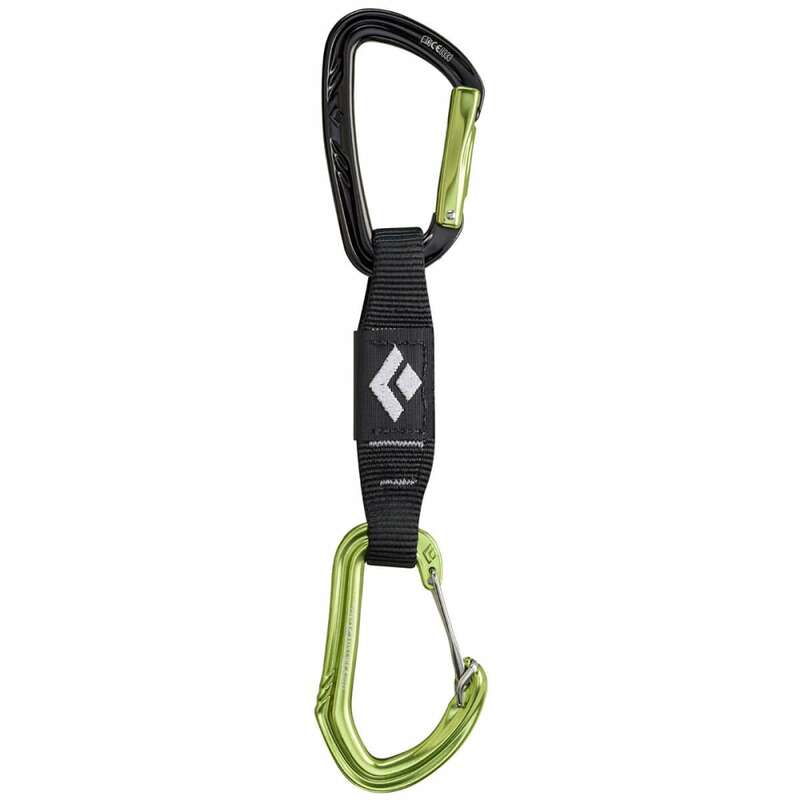 For creating a strong, dependable connection between rock and your rope, add Black Diamond’s LiveWire Quickdraw carabiners into your climbing setup. Here, this system includes a key-lock Nitron carabiner on top and a LiveWire wiregate carabiner with HoodWire Technology on the bottom. A variable-width dogbone with a Straitjacket insert connects them and keeps the bottom carabiner in place. HoodWire technology then reduces snags, helping you get a more consistent ascent.